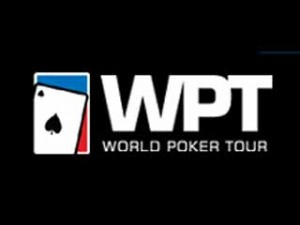 The World Poker Tour (WPT) signed a landmark partnership with Holland Casino in March. This four-year deal would see both the WPT main tour and the WPT National being run in the Netherlands. Starting this World Poker Tour - Holland Casino partnership is an anticipated poker battle which will take place in a couple of weeks, from May 8 to 16 to be pricise. It is about the WPT Amsterdam. Note that the country hosted last year the WPT National Valkenburg. Niels van Leeuwen emerged victorious of the poker tournament by topping a field of 402 players for  40,000. Of course, this Netherlands leg of the series is expected to attract both local and other enthusiasts from the neighboring countries. It comes as no surprise if the organizers planned to choose the country since it is home to a dynamic hub of poker players. Of course, this first-ever WPT stop in the Netherlands promises to be a great one, a not-to-be-missed event prior to the Grand Final of the European Poker Tour Monte Carlo. Kicking the nine-day festivity off is a  330 buy-in Warm Up. Then the other 13 events will be run in succession, the  3,300 buy-in WPT Main Event included. The Main Event will begin on May 11. It actually features two starting days. Interestingly, unsuccessful participants are allowed to re-enter during these flights. Players can also participate in other major events such as the  6,000 High Roller in which an unlimited re-entry is set till Day 2 beginning, the  750 Eight-Max and the enticing  1,500 Big Stack event.